We're very excited to introduce CheckCentral, an incredible new way to manage all of your email alerts & notifications! As system administrators, we know the pain of having to wade through a pile of notification emails every day. Trying to set up some sort of system to deal with them within your inbox is a time-consuming and frustrating experience. Worst of all, there's no good way to deal with notification emails that, for whatever reason, never arrive at all. Perhaps a scheduled task on a server doesn't fire properly, and your backup application never starts to backup. That's certainly something you'd like to be made aware of! 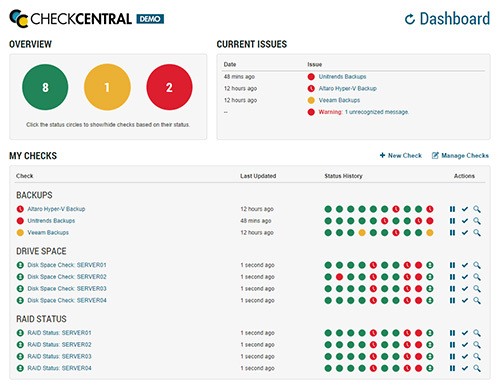 To handle that sort of scenario, CheckCentral brings intelligence to email notification management. CheckCentral will know what notifications to expect & when to expect them based on rules you set up. In CheckCentral, these rules are called checks, and these checks are all displayed on your CheckCentral dashboard. Using your dashboard, you'll be able to know the status of all your checks immediately. If you'd like to see the dashboard in action, check out our live demo! 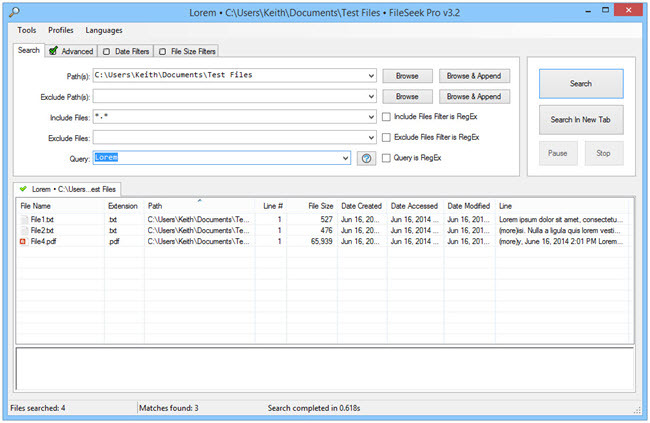 A common use for CheckCentral is to monitor regular backup jobs. 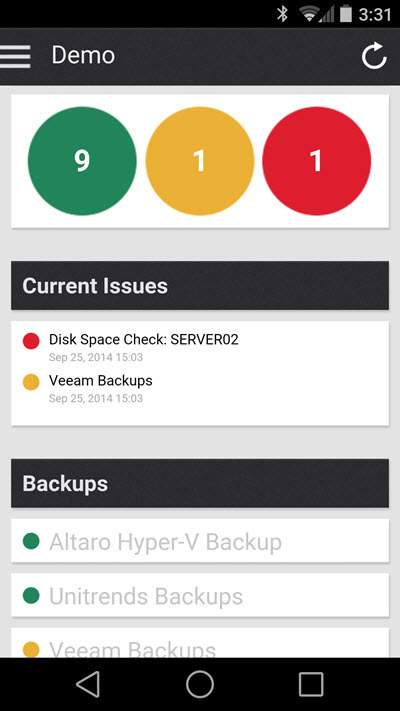 For example, let's say you're using Veeam to backup some virtual machines on a nightly basis. When setting up your check, CheckCentral will display a check-specific email address to use. Simply configure Veaam to send job reports to that email address. 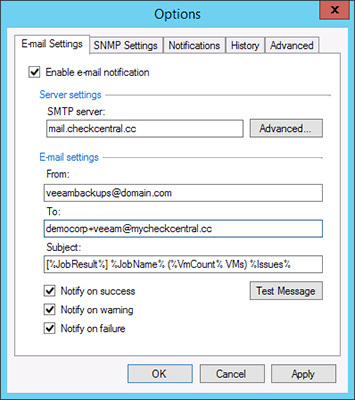 In this example, the e-mail address is democorp+veeam@mycheckcentral.cc, so we'll use that as the "To:" address in the Veeam e-mail options. Back in CheckCentral, you'll tell CheckCentral how often to expect an email for this check, and how long it should wait for that email before marking the check as failed. In this example, the check email should be arriving every day, and if it hasn't arrived within 6 hours of when it was supposed to (24 hours after the last email arrived) we'll mark the check as failed. And that's it! CheckCentral now knows to expect an email from Veeam every day, and will only notify you if something requires your attention. CheckCentral can notify you in a number of ways, including push notifications via our mobile application, text messages and regular old email. In addition, a daily digest email can be sent every day that shows you the current status of your organization. Mobile apps are available for all major platforms, including iOS (via the App Store), Android (via Google Play), Windows Phone (via Windows Store), and Blackberry (via Blackberry World). A complete list of mobile apps is available on our Apps page. With the Enterprise Edition, you can share your dashboard with your whole team. Each user can set their own notification preferences as well, so only those who need to be notified about specific systems will receive the notifications. To get started with CheckCentral, head over to our signup page, available here. New accounts start with a 14-day trial of our Pro or Enterprise editions so you can explore all of the features that CheckCentral has available. After the trial ends, you can either switch to our free version or subscribe to Pro or Enterprise. Information on our different subscriptions are available on the Subscription page. Discover a smarter way to manage your email notifications. Get started today! Congratulations to our top contributing members for September 2014! They have been hard at work submitting, rating, and discussing images on WallpaperFusion, and have racked up some impressive reputation scores along the way! DisplayFusion 6.1 is Now Available! We're very excited to announce that DisplayFusion 6.1 is now available for download, and also on sale at up to 33% off until September 8th! 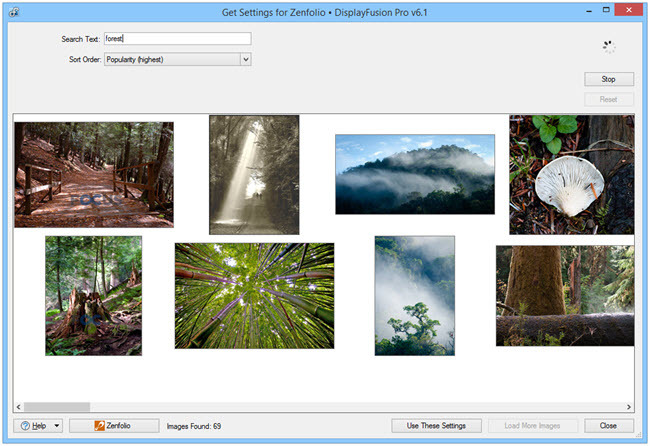 This release consists mostly of bug fixes, but also adds Zenfolio as a new online wallpaper provider. Back to School 2014 Sale! It's that time again! Everyone's heading back to school, and we're offering all of our products at a sale price of up to 33% off, until September 8th! Good luck with the new school year, everyone! Congratulations to our top contributing members for August 2014! They have been hard at work submitting, rating, and discussing images on WallpaperFusion, and have racked up some impressive reputation scores along the way! When using a setup with many monitors, managing the mouse cursor can get a bit unwieldy. Moving the mouse from the left monitor in a 4+ monitor setup can be tedious. 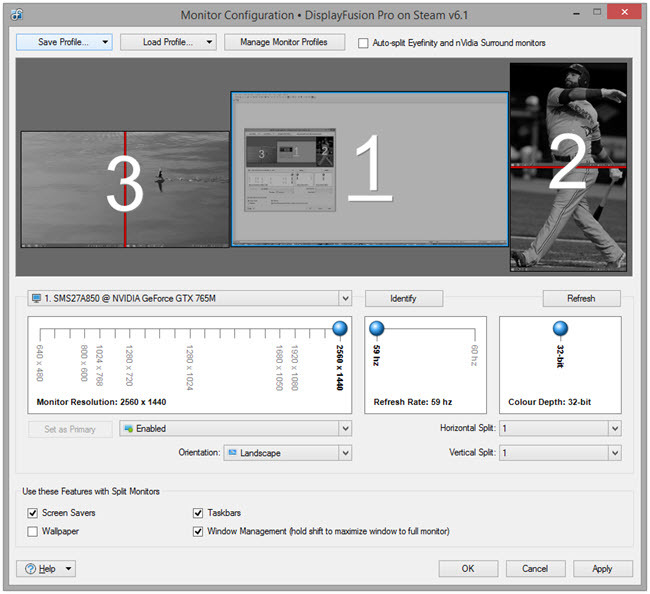 In setups where the monitors are arranged vertically, it can be difficult to hit the caption buttons of a maximized application on the bottom monitor. And in setups where a monitor is located in a different room, it can be difficult to get the mouse cursor over to the isolated monitor. 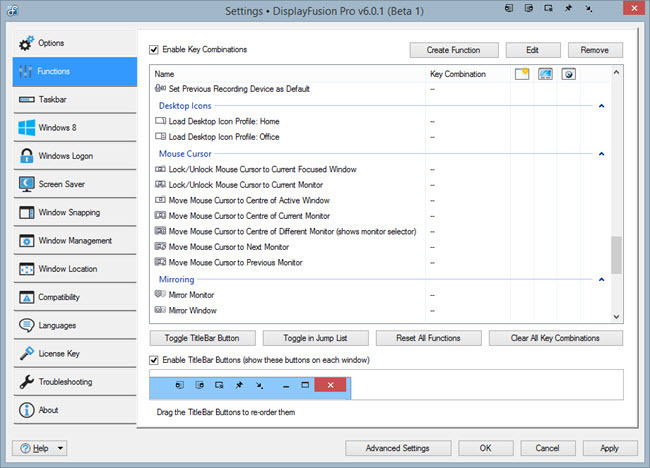 DisplayFusion has a bunch of mouse cursor related Functions that can help in those situations and more! In the example where you have two monitors, arranged vertically, it can be difficult to hit the caption buttons on a window located on the bottom monitor quickly, as the mouse cursor will move to the monitor above if you move it one pixel too far. For this type of setup, the "Lock/Unlock Mouse Cursor to Current Monitor" and "Lock/Unlock Mouse Cursor to Current Window" are very helpful. You can press the key combination for one of those Functions (assign the combo on the Settings > Functions tab), and the mouse cursor will be "stuck" inside the confines of that monitor or application window, until you press the key combination again. Move Mouse Cursor to Centre of Active Window: The mouse cursor will jump to the centre of the application window that currently has focus. Move Mouse Cursor to Centre of Current Monitor: The mouse cursor will jump to the centre of the monitor that the mouse cursor is currently on. Move Mouse Cursor to Centre of Different Monitor: You'll be prompted to select a monitor. After choosing a monitor, the mouse cursor will jump to the centre of that monitor. This Function is especially helpful when used in conjunction with the Mirror Monitor Function for viewing/manipulating windows on a monitor that's not located within plain sight. Move Mouse Cursor to Next/Previous Monitor: The mouse cursor will jump to the same relative location on the next or previous monitor. Select the Function you wish to assign a key combination to and click the Edit button. Select one or two modifier keys, and type the keyboard key into the box. 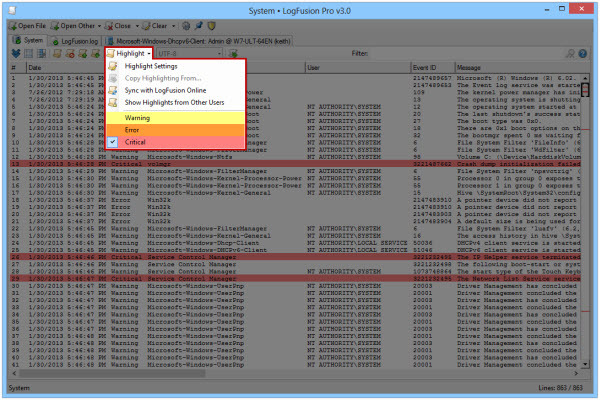 Click OK on the key combination dialog, and Apply on the Settings window. Using DisplayFusionCommand.exe (version 3.3+) you can control DisplayFusion from an external program or command prompt. DisplayFusionCommand.exe is located in the DisplayFusion installation folder (C:\Program Files\DisplayFusion by default). You can find the syntax and examples below. Closes all DisplayFusion instances with no prompts. Loads a pre-configured Wallpaper profile named "Horse Pictures"
DisplayFusionCommand.exe -functionrun "Start Screen Saver"
Congratulations to our top contributing members for July 2014! They have been hard at work submitting, rating, and discussing images on WallpaperFusion, and have racked up some impressive reputation scores along the way! DisplayFusion ADMX Templates (v4.1+) are available for controlling the settings below via Group Policy in Active Directory environments. Click here to download the latest version of the ADMX templates. Note that while v4.1 was the first to support Active Directory Group Policy, we add new policy settings with each new version of DisplayFusion. For full compatibility with the latest DisplayFusion ADMX templates, please make sure your client machines are running the latest version of DisplayFusion. The following registry values can be created manually, deployed via registry script, or using the DisplayFusion ADMX Templates (v4.1+), in order to force the settings on the client. The registry location(s) where they can be created are indicated for each one, using the following legend. If you have any questions at all, feel free to contact us. 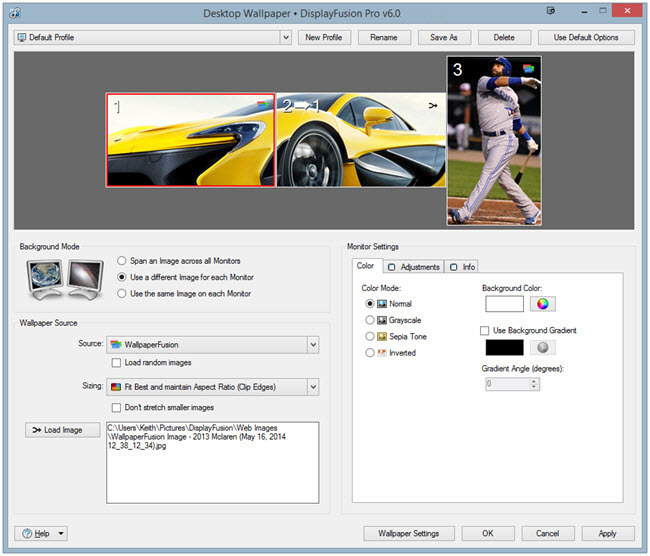 This setting requires a restart of DisplayFusion to take effect. This setting does not require a restart of DisplayFusion to take effect. 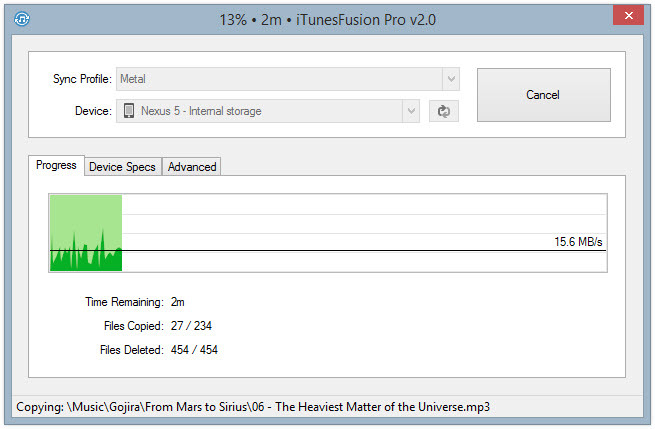 This setting requires a restart of DisplayFusion to take effect. Note: This setting does not disable the "Show in Windows desktop context menu" option itself, it only disables access to that option in the Settings window. For corporate environments, it's recommended to disable this option during deployment using the appropriate switch/property with the installer. This setting must be enabled before DisplayFusion runs for the first time. Note: Changes to this policy will only take effect on the client once DisplayFusion has been restarted. If DisplayFusion is currently not set to startup, and you enable this setting, it will need to be manually launched on the client the first time. Also note that this setting only affects the HKCU\Software\Microsoft\Windows\CurrentVersion\Run value. If you've deployed it with the option to run for all users, this policy will not remove that setting from the clients. This setting requires a restart of DisplayFusion to take effect. Note: To enable this setting, you must also enable the "Check for updates automatically" setting. 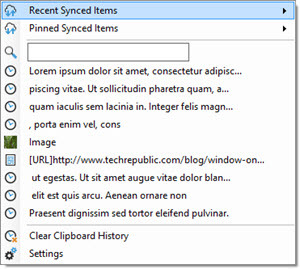 0: The "Window Preview Style" option will be set to "Previews disabled, show tooltip on hover"
1: The "Window Preview Style" option will be set to "Windows default"
2: The "Window Preview Style" option will be set to "Windows Vista"
3: The "Window Preview Style" option will be set to "Previews disabled, show group list on hover"
0: The "Taskbar Mode" option will be set to "All Taskbars show relevant"
1: The "Taskbar Mode" option will be set to "Windows Taskbar shows all, DisplayFusion shows relevant"
2: The "Taskbar Mode" option will be set to "All Taskbars show all windows"
3: The "Taskbar Mode" option will be set to "Windows Taskbar shows none, DisplayFusion shows all"
0: The "Taskbar Button Middle-Click Behaviour" option will be set to "Do nothing"
1: The "Taskbar Button Middle-Click Behaviour" option will be set to "Open new instance"
2: The "Taskbar Button Middle-Click Behaviour" option will be set to "Close application"
3: The "Taskbar Button Middle-Click Behaviour" option will be set to "Move to next monitor"
4: The "Taskbar Button Middle-Click Behaviour" option will be set to "Move to previous monitor"
1: The "Monitor Fading Mode" option will be set to "Fade All Monitors"
2: The "Monitor Fading Mode" option will be set to "Fade Non-Primary Monitors"
3: The "Monitor Fading Mode" option will be set to "Fade Non-Current Monitors"
4: The "Monitor Fading Mode" option will be set to "Fade Everything Except Current Window"
This setting requires a restart of DisplayFusion to take effect. Note: To enable this setting you'll also need to enable the Maximized Window Dragging feature.